The seventh and final continent, Antarctica is a land of raw and exquisite frozen seascapes – the natural world in its most natural state. 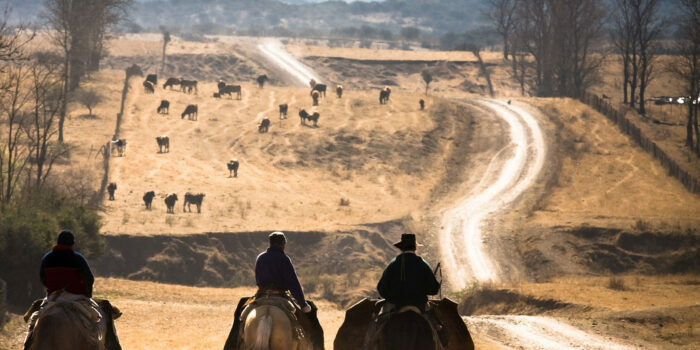 Expeditions to this austral hinterland instil a genuine sense of adventure and exploration – and indeed of privilege, with few people ever experiencing the awesome scale, tranquillity and fury of the great wilderness. 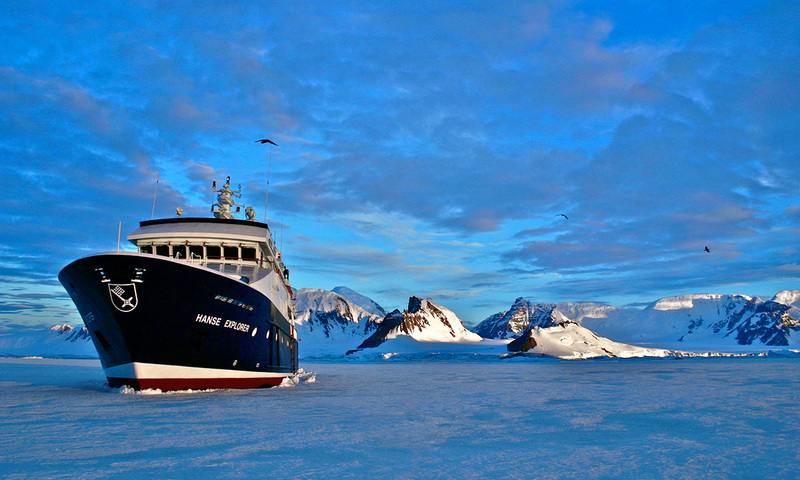 Exploring Antarctica by private charters, such as Big Fish, Asteria or Hanse Explorer, is a truly remarkable adventure. 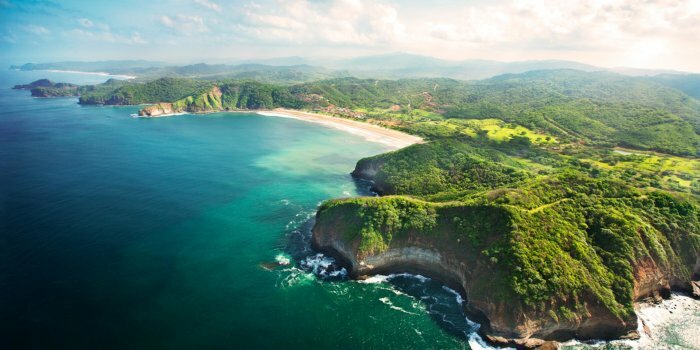 This is the most exclusive way to discover one of the most remote locations on the planet. For the less extravagant, we have hand-picked a selection of smaller boats offering exceptional experiences. A cruise ship that accommodates around 150 passengers is ideal; the best carry a dedicated team of guides and lecturers on board and are ice-strengthened. Such vessels can push safely through sea ice up to a meter thick. This, along with their Zodiacs, gives them access to more landing sites. It is important to note that itineraries are planned on a day-to-day basis to make the most of the conditions. At the top of our list is the Silver Explorer by Silversea Expeditions. Purpose-built for expeditions, the Silver Explorer can accommodate 132 passengers on their 10- to 18-day round trip to Ushuaia. 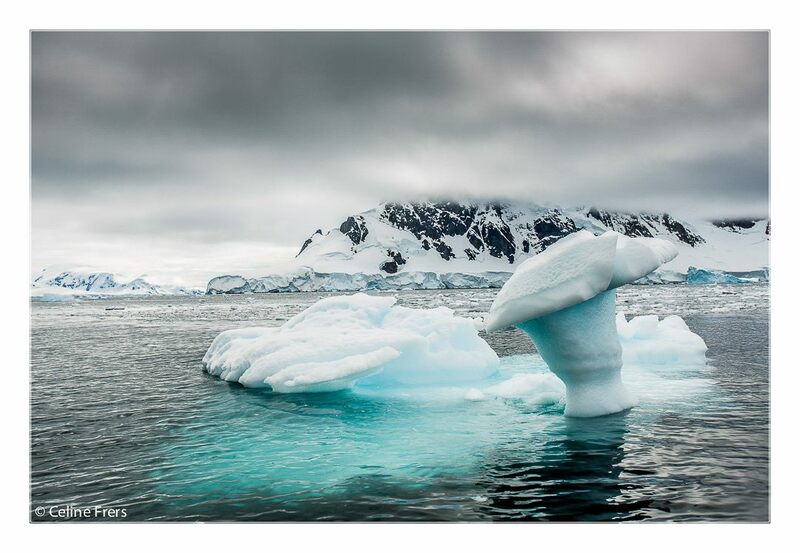 Revel in the excitement of crossing the famed Drake Passage en route to the northernmost tip of the Antarctic Peninsula, known for striking, iceberg-flanked passageways such as the Lemaire Channel and Paradise Harbour. Silversea’s fleet of Zodiacs allow guests to visit even the most off-the-beaten path locations. Next up, the National Geographic Orion by Lindblad Expeditions offers a high level of service, with a maximum passenger capacity of 148. Cruise itineraries last 14- to 24-day; the latter being the ultimate Southern Ocean experience. 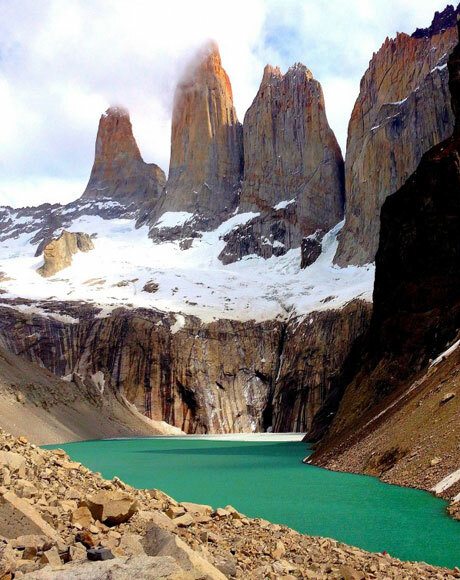 This expedition takes you from Ushuaia through three distinct regions, and includes the Drake Passage, the haunting Lemaire Channel, and South Georgia, the “Galapagos of the Poles.” With its awe-inspiring king penguin rookeries, this remarkable island hosts a wealth of wildlife. 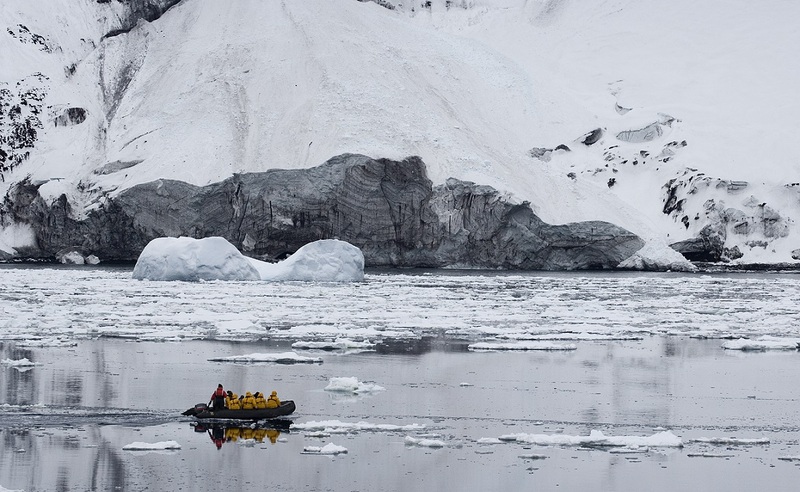 Expedition leaders enable daily Zodiac cruises and kayak expeditions in all locations, so you can experience the wonders of Antarctica up close. If you are looking for a larger luxury cruise, L’Austral by Ponant is worth checking out. This superb mega-yacht with 132 cabins has the feel of a private yacht. The 15-day expedition sets off from Ushuaia and cruises to the Antarctic Peninsula and South Georgia, before heading north to Montevideo, Uruguay. Celine, can you tell us what drew you to discover the Big Ice? I have always wanted to go to Antarctica. I love wild, remote places – that’s where I feel really free. 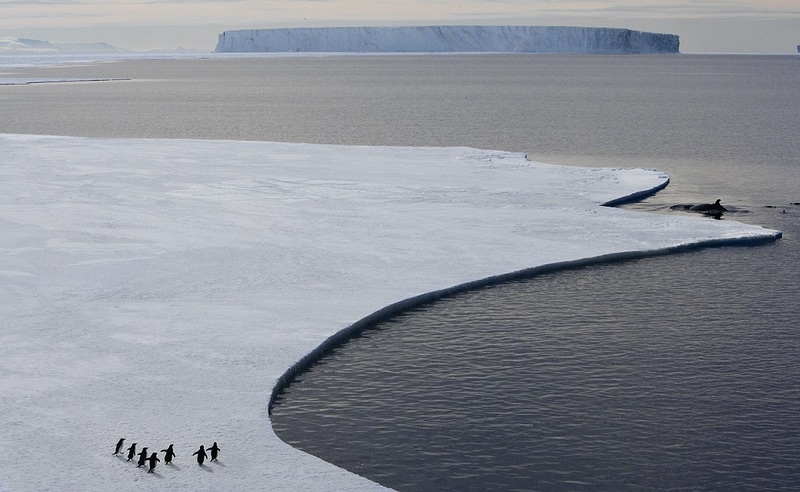 Antarctica is a powerful, savage, dangerous, isolated, crystal white place. What was your travel itinerary? I flew from Punta Arenas to King George Island, where we took a yacht south through the Antarctic Peninsula, past the Arctic Circle and back up. Then we sailed to Elephant Island, South Georgia and the Falklands before flying back to Punta Arenas. Warm clothes and a good camera! What photography tips can you share with us for capturing the majestic beauty of the landscape? It is worth having a good telephoto lens so as to bring the background forward and make it more impressive. 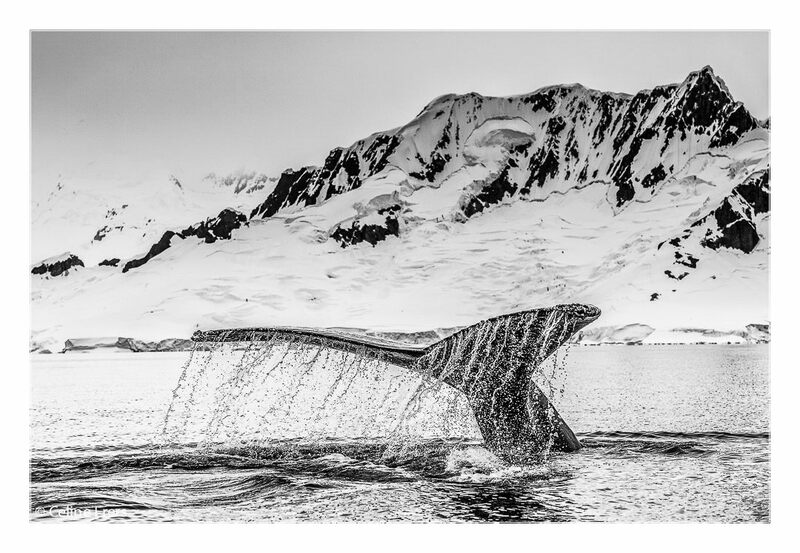 It is also good to shoot at a high shutter speed; that way you can get a sharp image in spite of wind or sea movement (if you are on a boat), and even freeze the drops coming off a whale’s tail. Which expeditions did you enjoy most? The whole trip was amazing. One morning we woke up in what can only be described as a forest of icebergs. We cruised through it on the zodiac. The water was a mirror-like and the sun was shining. We encountered penguins, sea leopards, whales. It was spectacular. Did you see many other boats along the way? Not really, maybe a total of six. The captain got in touch with them to see where they were from and what they were up to – one even sent us a bottle of vintage whisky! It is such a remote place that there is a strong sense of camaraderie. The same happened at the two bases we visited – Lockroy (UK) and Vernadsky (Ukraine). People are really happy to have visitors and to get the chance to talk to new people. What smaller boats would you recommend for exploring the region? I would recommend a sailing boat. 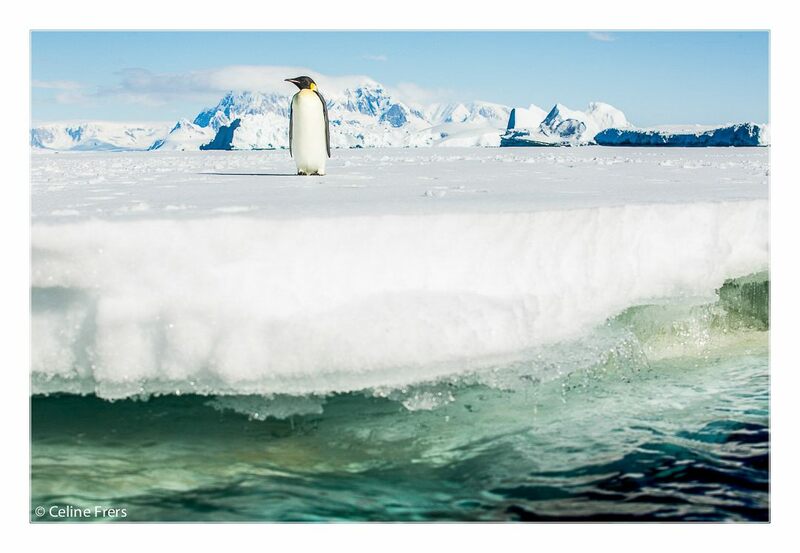 The Antarctic plunge – without a wetsuit! What was the highlight, and the low point, of the trip? My highlight was the southernmost part of the trip. 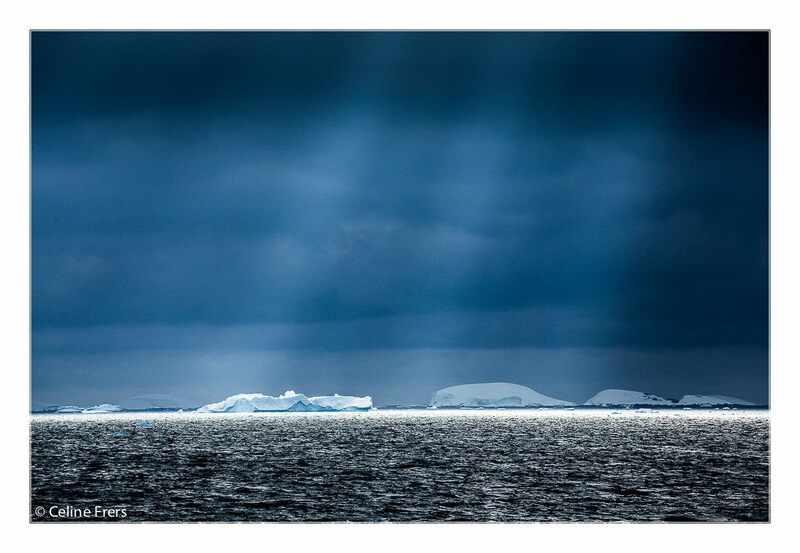 The further south we travelled down the Antarctic peninsula, the more intense it got. We travelled until it was complete ice; it got so thick that our boat couldn’t go past it. My low point was the crossing from South Georgia to the Falklands because of the motion sickness. What was the most unexpected moment of the expedition? A whale appeared from underneath the iceberg we were standing on when we were about to do our Antarctic plunge. It was just a couple of meters away from where we were going to jump! Antarctica is very powerful in that sense. What advice would you give someone considering a trip to Antarctica? It is definitely the ultimate frontier; very intense. I wouldn’t hesitate to go again. Was the region as deserted as you expected? Yes, it was. It is incredibly hard to imagine that there are people actually living there all year round. Is it difficult to photograph the area? Not at all – the only setback is not being able to shoot when your hands freeze! The biggest challenge is managing to transmit the intensity and power of the landscape in an image. What wildlife was the most impressive? I saw lots of wildlife: Different kinds of whales swam and ate just a couple of meters away from where we were; sea leopards, sea lions, fur seals, seagulls. There are no predatory animals so they are all curious and quite unaware of danger. You can get really close to them. I fell in love with penguins. They see you from far away and jump from iceberg to iceberg to come over to you. They stand in front of you and just stare. I felt like I could almost talk to them. One followed me as I was heading back to the boat, as if he wanted to come with me. He broke my heart! 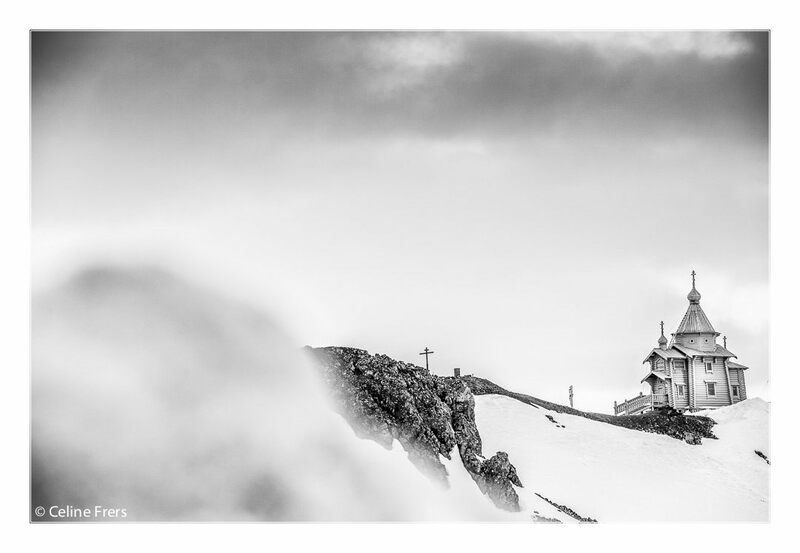 We recommend visiting Antarctica during the austral summer (November to March). 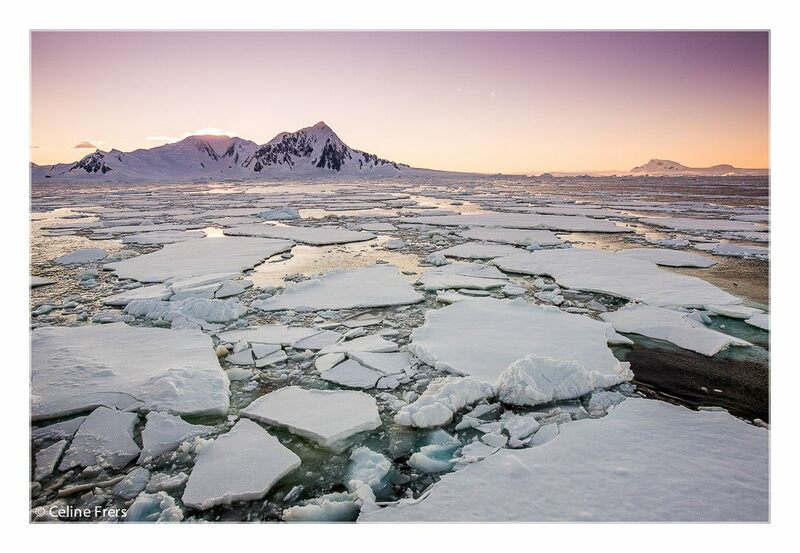 For more information, please contact our Antarctica specialists.